As planned in the GOV.UK roadmap, we’ve begun a discovery to look at how users subscribe to email notifications on GOV.UK. This is part of our overall objective to improve tagging, navigation, search and notification systems - so is closely linked to what the Finding Things team are doing. We need to make sure that our email notifications system is flexible enough to work with the new taxonomy. The current service has been in place since the transition to GOV.UK. Many legacy subscriptions were brought over, and not a lot has changed since so we are going right back to user needs. We’ll be exploring why users need notifications, what they want to subscribe to, how they actually subscribe and what technology options are available to us to send emails and manage subscriptions. 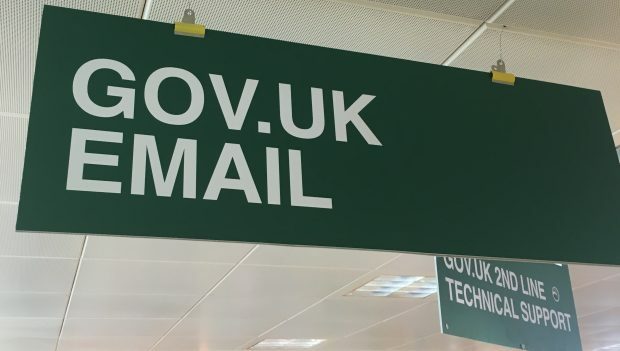 We’ve already had discussions with the internal GOV.UK Notify team about how we can make use of their common component for delivering government emails. Now we’re exploring the world of subscriptions and whether there’s wider demand outside of GOV.UK for a common subscription management component. The team has used data from Google Analytics to understand what topics people are subscribing to the most and which content is triggering the highest volume of email notifications. This has helped us to home in on who our users actually are in the majority of cases. Three heavily used updates - travel advice, medical device alerts and drug updates, and Competition and Markets Authority cases are coming out on top. We will be spending the next few weeks recruiting users and talking to publishers within departments to start to get a deeper understanding of user needs. If you’re a department that are already using subscriptions technology outside of GOV.UK, or would like to in future, then we'd love to hear from you. Please also get in touch if you have insights to share from your own research on email notification. We'll keep you posted as we progress through discovery and share our findings as we go. Lauren is a Product Manager at GOV.UK. Follow her on Twitter. The subject line on the email is displaying wrongly as "& #039;". The previous comment is displaying the HTML code as an apostrophe, so my comment doesn't make any sense as shown. Thanks Hugh, I'll pass this on to our technical people. Interesting, when I post the comment it's changed - the title was written as You & # 0 3 9 ; ve got mail (without the spaces). Thanks for letting me know, Andrew. I'll pass that on too.